I don't believe this, but SG is going to say something negative about a Valentino piece. I saw this other day and immediate thought "you are kidding me, right?" The design in itself is classic and very stylish. I like the large floral detail adorning the front of this tote. However, I was flabbergasted when I discovered the price of this "mesh" tote. It is $1495, how rude! That's Valentino for ya! No price too steep, even for mesh! A mesh purse for $1500? I'll pass. Lovely, but pass. Happy Friday! A purse would have to be made of solid gold for me to pay $1500! A mesh tote? Not a chance in hades. Well it is lovely, as long you don't look at the price tag. I do really think it's beautiful, but that price is outrageous! EEEEEK I LOVE IT ...but so much bank! Its cute, but not enough to pay that price! way too pricey, but I adore it! Pretty but for mesh? I'd definitely say no!! Ugh sorry, this purse is just ugly to me. It's gorgeous but I would love to hear the justification for the price tag! haha! I agree with the price. It looks cute though, but the picture may be decieving! I agree it's beautiful but too much. DIY for sure...gosh Valentino! yikes! It's cute but not for a mesh tote. I saw it the other day too and no. I must agree, gorgeous, but quite pricey. 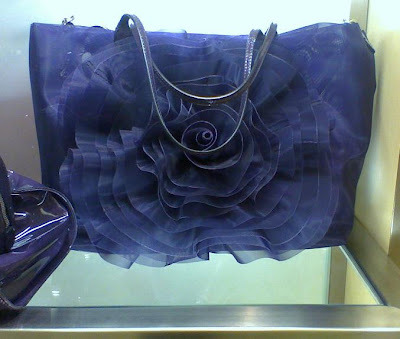 wow, that's a gorgeous bag--agreed, a bit much for mess!